The President of India, Shri Pranab Mukherjee has said in a message on the eve of Children’s Day that we should encourage children to dream big about the future of our nation and explore their potential to the full. 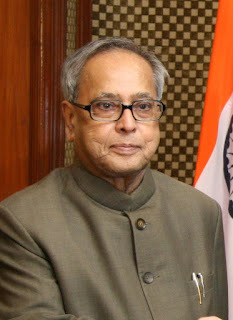 In a message to the Ministry of Women and Child Development, the President has said, “I am happy to know that the Ministry of Women and Child Development is celebrating Children’s Day on 14th November, 2015 by conferring the ‘National Child Award for Exceptional Achievement, 2015’, ‘Rajiv Gandhi Manav Seva Award, 2015’ and ‘National Award for Child Welfare, 2014’. The future of our nation depends on our children. When provided adequate opportunity and guidance, they have immense potential to contribute to society and humanity. Children should have the opportunity to receive education, acquire comprehensive knowledge and develop in a child friendly environment so that they turn into good human beings with a mission in life. We should encourage children to dream big about the future of our nation and explore their potential to the full. The National Child Awards ceremony is held every year to recognize the achievements of children and the services of individuals and institutions working for the welfare of children as well as to pay tribute to the memory of late Prime Minister, Pandit Jawaharlal Nehru. These awards are meant to encourage children with exceptional achievements and inspire other children follow in their steps. The awards celebrate the efforts of those individuals and institutions which have made a transformative difference in society through their commitment and dedication to children. On this occasion, I congratulate all award winners and extend my best wishes and blessings to all the children of this country. I wish them a happy, healthy, bright and productive future”.